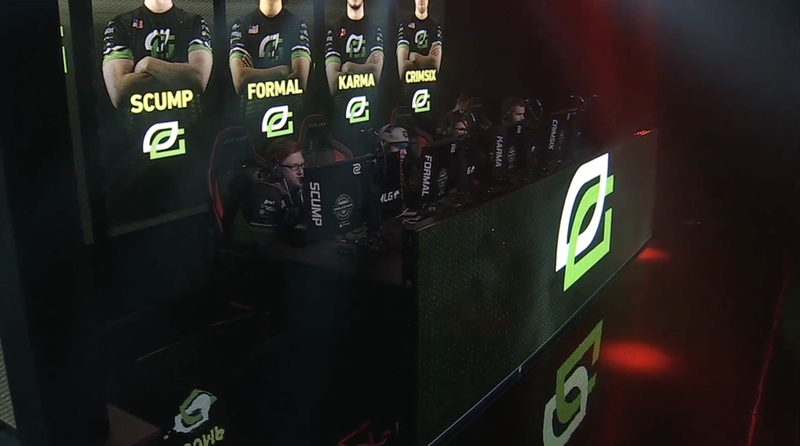 It’s another 6-0 showing from the Green Wall in the CWL GPL. The regular season for Stage Two of the Call of Duty World League Global Pro League came to an end with a bang as OpTic Gaming continued their flawless play to become the only undefeated team in season two. In Stage One, OpTic was the only team to go a perfect 6-0 in the regular season—and they continued that trend into the second season of the CWL GPL. OpTic took down Epsilon and Team EnVyUs on Sunday to secure their undefeated record and the top seed in Group Green. Team EnVyUs was a pleasant surprise this weekend—Call of Duty fans knew what they were capable of, but recent performances made some people doubt the boys in blue. EnVyUs went 4-2 this weekend in Group Green, and their only two losses came against the Green Wall. Cloud9, on the other hand, went 2-4, with both of their series victories coming against Epsilon—including a 3-1 win against the Europeans on Sunday. Patrick “ACHES” Price and crew played a lot of tough matches this weekend, but struggled to close out maps when it mattered most. Epsilon, however, was by far the biggest surprise of the weekend, as they joined Elevate in the 0-6 club. The Europeans were expected to be one of the favorites to qualify for the Stage Two playoffs, but they struggled mightily this weekend, producing a measly 4-18 map count in Group Green. OpTic and EnVyUs will now turn their attention toward the CWL GPL Stage Two playoffs, which kick off next weekend (July 27). OpTic will square off against Fnatic in the opening round, while EnVyUs will go up against the FaZe Clan on the other side of the playoff bracket.